This next week is a “grab bag” of activities from rodeos to train exhibits. The 42nd International Finals Rodeo takes place January 13th through the 15th at the State Fair Arena in Oklahoma City. Performances in eight different categories begin at 7:30 p.m. on Friday and 1:30 p.m. on Saturday and Sunday, and the top 15 cowboys and cowgirls from the International Pro Rodeo Association compete for World Championship titles. This weekend also hosts the 2012 Miss Rodeo USA Pageant, where a new queen will be crowned to represent the International Professional Rodeo Association. 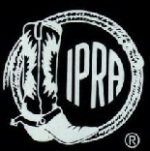 The IPRA Board of Governors began the pageant in 1966. Amtrak brings its 40th Anniversary traveling celebration to the Amtrak Santa Fe Station in Oklahoma City January 14th and 15th. The exhibit train will be open from 10 a.m. to 4 p.m. both days, and participants can learn about Amtrak’s history as “America’s Railroad” since 1971. The train includes memorabilia such as vintage advertising, past menus, dinnerware, and period uniforms. Photographs and china displaying the railroads past will be on display. There are also children’s’ activities in a Chuggington Depot themed area. The exhibit train and activities are open to the public. The Civic Center Music Hall opens “The Addams Family Musical” on January 17th at 7:30 p.m. Featuring music by Andrew Lippa and written by Marshall Brickman and Rick Elice, the show premiered in April of 2010. It has an original story line centered on the dysfunctional Addams meeting the parents of Wednesday’s “normal” boyfriend. The United States tour of the production began in September of 2011, and runs through January 22nd in Oklahoma City. For music enthusiasts, several concerts of different genres span across the metro. In Edmond, Bass-Baritone Kyle Ketelsen performs at the University of Central Oklahoma on January 14th. The Brightmusic Chamber Ensemble’s third concert of its 2011-2012 season, “Café Music,” takes place at two locations in Oklahoma City on January 16th and 17th. In Norman, The Opolis hosts Oklahoma Noise Fest January 13th and 14th, and the Performing Arts Studio presents Girlyman in concert on January 15th.